Who should register for the program: Great for new parents, practicing and entry-level nannies! The Chamber's mission is to empower nannies to start nanny businesses utilizing the skills developed, from our Nanny Training Certificate Program and our Small Business Boot Camp. We establish through our Nanny Training Certificate Program, knowledgeable, nurturing and loving nannies, who are dedicating their careers to challenging children to achieve greatness. A nanny is someone who is fully invested in a child's development and well­being. Generally, a nanny will care for children full­time while both parents work. It's a nanny's responsibility to create daily schedules and engage in activities to ensure healthy mental, physical and emotional growth in the children they care for. Most nannies will be tasked with preparing meals, helping with household work (dishes, laundry, etc. ), driving the children to and from activities and assisting with homework. Typically, nannies have more responsibilities and duties than a babysitter does (and, because of that, a bigger salary). In addition to basic safety classes, they may have had advanced child care training or many years of nanny experience. Often, nannies earn a weekly salary (based on hourly expectations), have taxes deducted from their paychecks and work year­round for a family. It's expected that nannies receive at least 2 weeks of paid vacation and earn holiday pay as well. Nannies often become part of the family, bonding with the children in a different way than parents do. Sure, nothing can replace Mom or Dad, but children will bond with that special someone who sings with them at music class, teaches them to use the potty and drives them to and from soccer practice. Some families consider their nannies co­parents or partners in parenting, getting info from their nannies on their child's development and interests or asking their nannies to help their kids cope with losses and stress. Generally, babysitters care for children of any age who are in need of supervision for a few short hours. Most sitters will work either on specific occasion or on a regular schedule (after­school babysitters, date night babysitters and weekend babysitters are common). Their main tasks are watching the kids, playing with them and maybe putting them to bed. Many babysitters are trained in basic skills like CPR and first aid. They usually work for hourly rates, but may be paid extra if they agree to handle additional services such as cooking, tutoring and light housekeeping. It's important to discuss expectations for the job during the interview process. 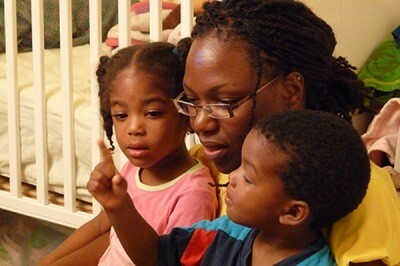 "The contract is essential for clarifying [salary] matters and detailing all the conditions necessary to ensure a healthy and productive work relationship," says Pearl Phillip, President of the New American Chamber of Commerce, a chamber organization, whose Nanny Training Certificate Program caters to Caribbean, Latina and African nannies, housekeepers and elderly caregivers in New York. When everyone is clear on a nanny's responsibilities and privileges, it reduces confusion and makes disputes easier to solve amicably when they do crop up. A too-informal work arrangement is more likely to hurt you both in the long-term than one where everything is ironed out and made official from the start. For a sample contract, please schedule an appointment with the chamber at 718-722-9217. The full number of hours prescribed for the program at an overall performance level of 70% or above must be completed within 14 weeks of commencement of the program to receive a certificate of academic completion. Students must also have all required documentation submitted and approved to receive their Nanny Certificate. Step 1: Click on 1st Time Registration button to begin your registration and pay the fee. - After completing the registration you will receive a e-mail confirmation & receipt. - The program runs on a first come, first serve basis. During the academic session, all students will participate in an in­home Newborn and Toddler Practicum with a local childcare organization. At minimum, the organization will have newborn infants and toddlers between the ages of 2 and 4 years. This experiential education program takes place once per week for ten weeks. This practicum allows students to utilize the techniques learned in the classroom with children, giving them hands­on experience in the profession. New students that wish to register for the Nanny Training Certificate Program, click here. Students already registered for the program and wish to register for upcoming classes, click here. Students who wish to start a placement agency or are self­ employed must attend our Small Business Boot Camp.